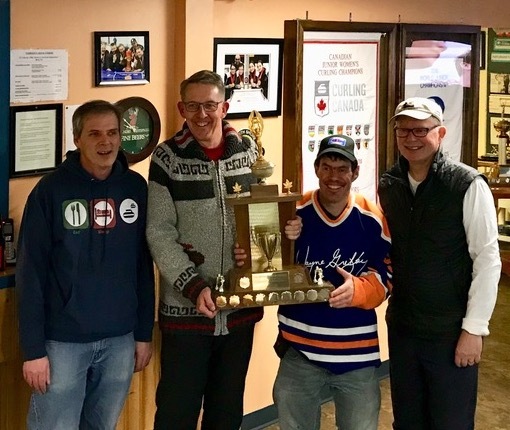 Congratulations to all the Friday Mixed curlers who won the following trophies! Team D. Fraser...Dan Fraser (skip), Haylee Nauss (missing-third), Shalen Armstrong (second) and Megan Sheppard (lead). Team Nauss (no photo)...Troy Nauss (skip), Alie Morash (third), Dean Adams (second) and Will Cresswell (lead). Team Morris...Rob Morris (missing-skip), Laurie Russell (missing-third), Grant Astle (second) and Mark Swinamer (lead)...Malcolm Swinamer filling in! Team D. Fraser...Dan Fraser (skip), Haylee Nauss (missing-third), Shalan Armstrong (second) and Megan Sheppard (lead). 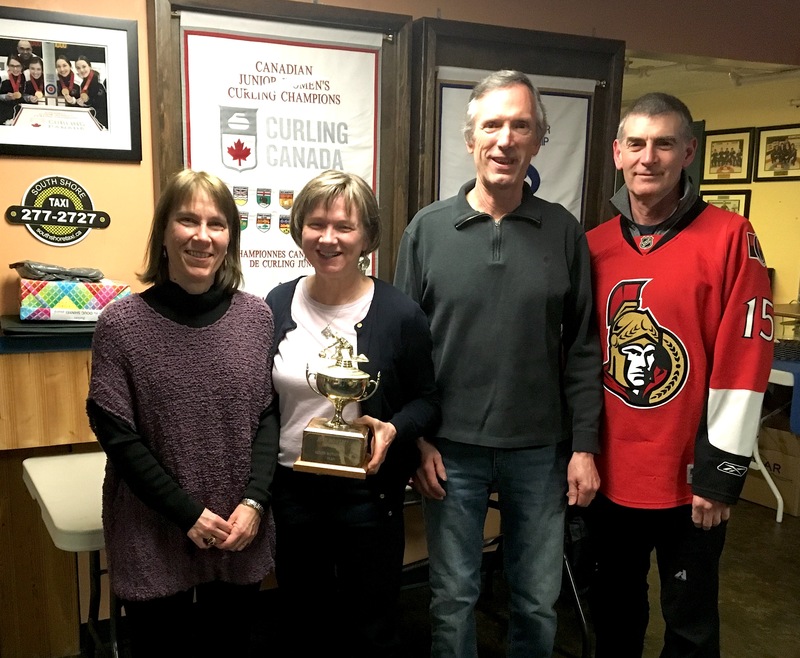 Team Graham...Renata Graham (skip), Charles Walker (third), Darlene Gates (second) and Ken Johnston (lead). How amazing and exciting is this? 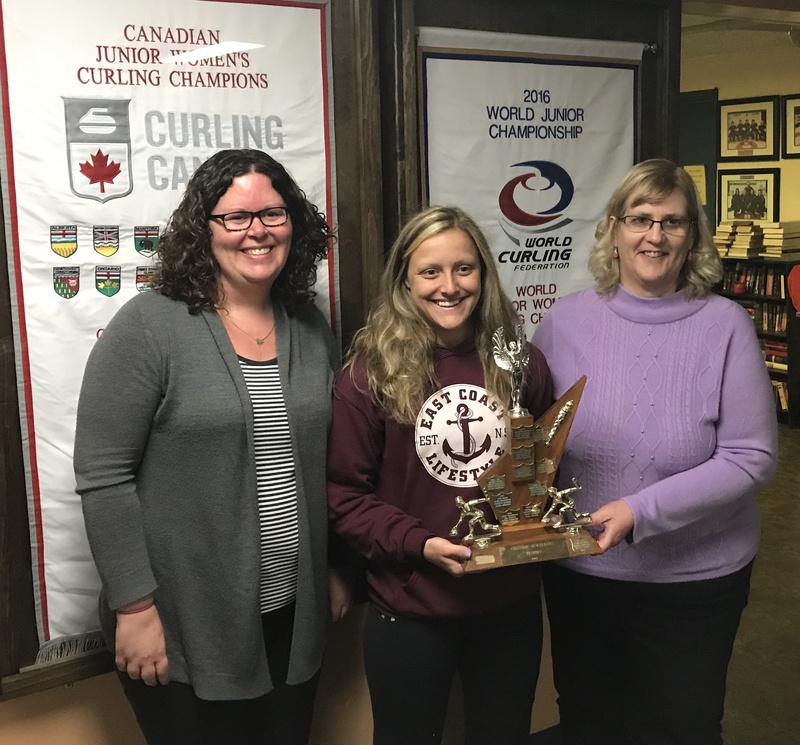 Three generations of the same family curling in our Club...from left- Wendy Sheppard, Megan Sheppard and Phyllis Furlong. 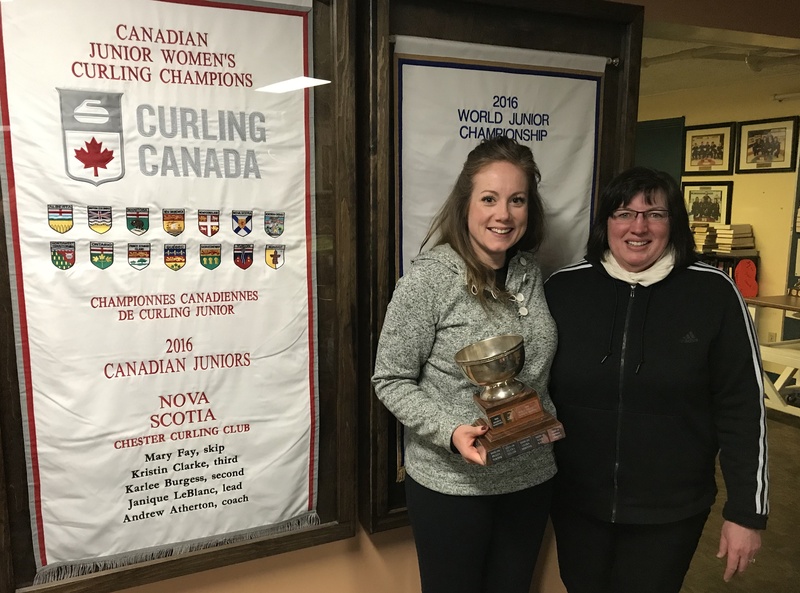 Wendy is a long-time member of the Chester Curling Club while Megan joined just this year. 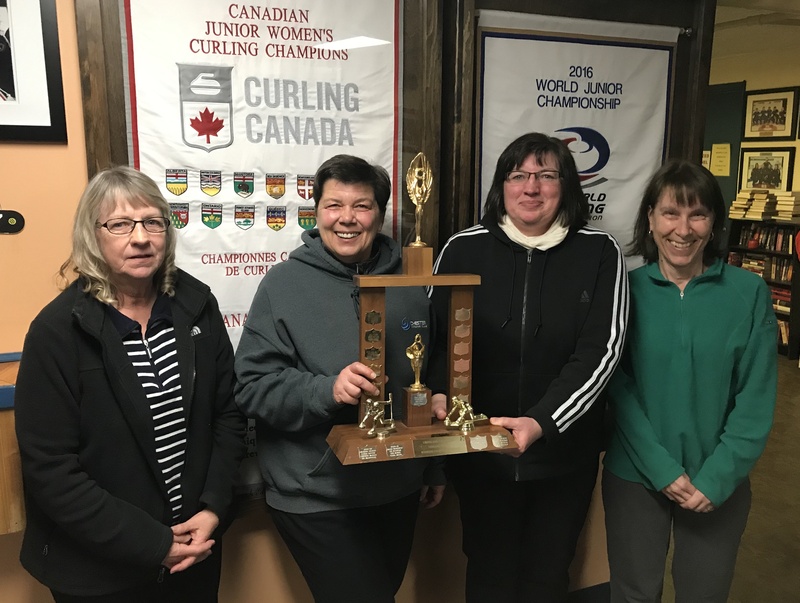 Phyllis, on the other hand, has been curling on and off at Chester for 50 years; in fact, she curled as a skip in the first year of the Club's operation. At a young 84 years of age, she is still a commanding presence on the ice! 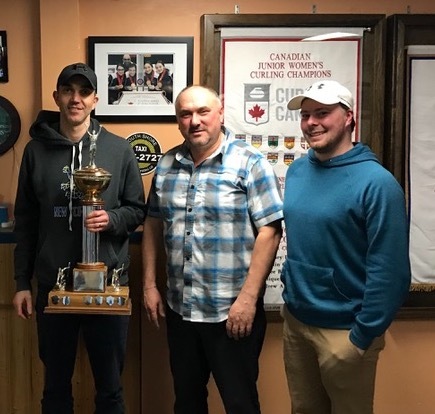 Congratulations to the Sheppard/Furlong family on their success in the sport of curling and their continued support of the Chester Curling Club!